The Union for Contemporary Art strives to provide artists with an opportunity to share their work and the tools they need to develop professionally in the arts community. Each artist receives professional photographs of their work for their portfolio, a one-on-one critique with an art professional, and assistance with developing an artist statement. 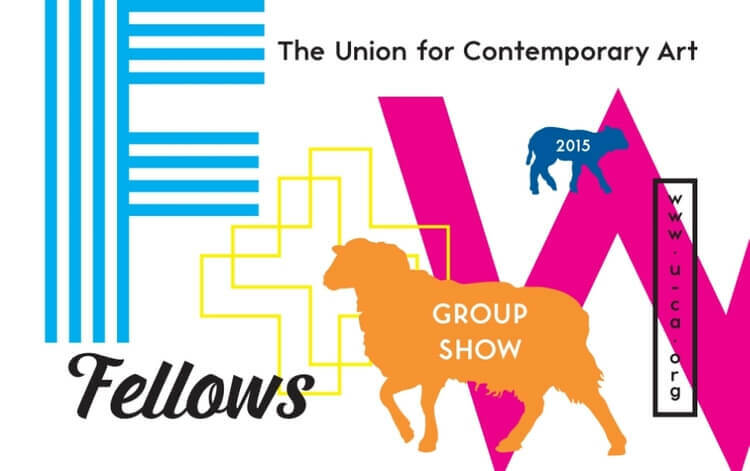 The current exhibition is artwork created by the Union’s Fall+Winter 2015 Social Practice Fellows. The artists featured in this exhibit are Joe Addison, Camille Hawbaker, Jave Yoshimoto, Sarah Jones, and Dan Crane. Addison’s work has been included in over 30 national group exhibitions and his solo exhibition list is quite lengthy as well. Hawbaker is an emerging artist working in print and fiber media where she blends the techniques to simultaneously create and destroy her work. Yoshimoto is a first generation Asian-American artist and believes in creating works that are socially conscious and authentic to the self. Jones is an interdisciplinary artist, originally from Indiana, working with a variety of materials and she recently moved to Omaha from Brooklyn, New York. Crane was born and raised in Omaha, Nebraska. He received his BFA in printmaking in 2009 from the Kansas City Art Institute. Visit the Union’s website to find more information on each artist with direct links to their artwork. Please note the gallery has a new location, listed above. Gallery hours: Wed. 4-7:00 p.m., Sat. 11:00 a.m.-2:00 p.m.